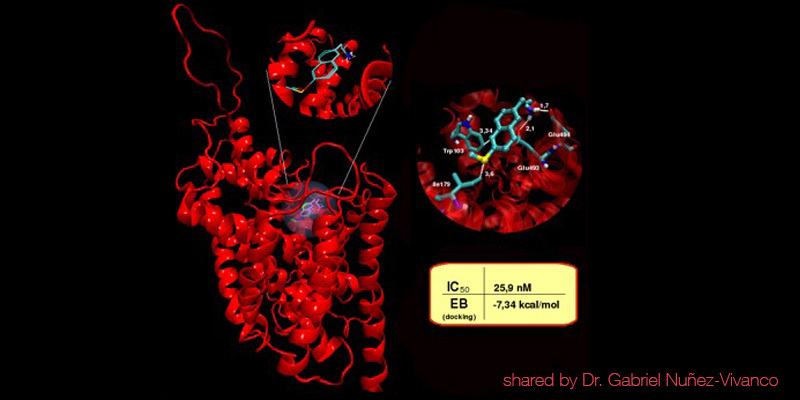 We study drug-receptor interactions in monoaminergic targets. We are interested in the concept of Functional Selectivity (agonist-directed trafficking of receptor stimulus, ADTRS), and in rational drug design of multi-targeted ligands. In this section we collaborate with computational and medicinal chemists and pharmacologists, both nationally and internationally. Our lab is interested in deciphering the molecular basis of mood and anxiety disorders. By combining psychiatric genetics, molecular pharmacology and transgenic animal models, we pursue aims focused toward unraveling the role of neurotransmitter system components implicated in these diseases. Our main goal is to identify novel targets for treatment of these devastating disorders that dramatically impact our health system and quality of life worldwide. One of our current major efforts is to understand the role of novel candidate genes in Obsessive-Compulsive Disorder (OCD) and Bipolar Disorder, and how altered expression levels affect brain circuits at neurochemical and behavioral level.